In this post we are are going to chronicle a recent fence job that we have just completed in Beverly. Malone Fence Company has installed thousands of fences in our 37 years of operation. Beverly is home to the Cummings Center, a sprawling piece of real estate on Elliott St., the former site of The United Shoe Manufacturing Company, one of the largest employers in the area in it’s heyday. Beverly is only one of the many communities on the North Shore that we service. Checkout our recent post about The City of Beverly, on our Fence Law Series: Fence By-Laws and Ordinances in the City of Beverly. We were asked to provide a new look for an existing client who lived off of Rte. 62, near Beverly Golf and Tennis Club. Our crews had installed a cedar wooden fence for this customer back in 1987. As you can see by the photo the fence was still standing and in pretty good condition, relative to it’s age. It was a pretty easy sell, the customer knew exactly what she wanted; a new maintenance free white vinyl fence that she did not have to worry about. She is an avid golfer and did not want to be spending time maintaining a wooden fence when she could be on the golf course working on her game. By the way the new vinyl fence, like the old wooden fence had to contain her very small dog. Our highly skilled fence installers dismantled the old wooden fence and hauled it off to the dump. This is a service we routinely provide our customers and the cost is figured into the over all project. An air compressor and a rock drill were also required on this job as we encountered ledge. As always these items were discussed up front. It is agreed and understood by our clients that they will never incur any hidden costs related to their new fence installation. This is something we take great pride in doing. Often times companies will come in with a low bid and then proceed to add additional charges for these items and others. It is always a good idea to discuss the possibility, and the probability of any additional charges by a fence contractor prior to signing an agreement. Always search out a reputable company with integrity who has been in business at least 6 years. Check on line reviews and ask questions, any reputable fence contractor will be happy to provide you with references. 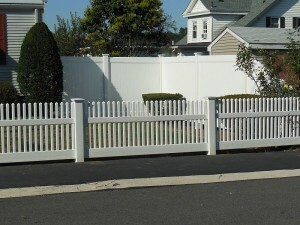 Below are Before and After pictures of this quality vinyl fence installation in Beverly, MA. 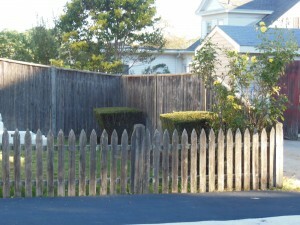 Before Photo of Wooden Fence in Beverly, MA. Don’t Be on the Fence call us today. 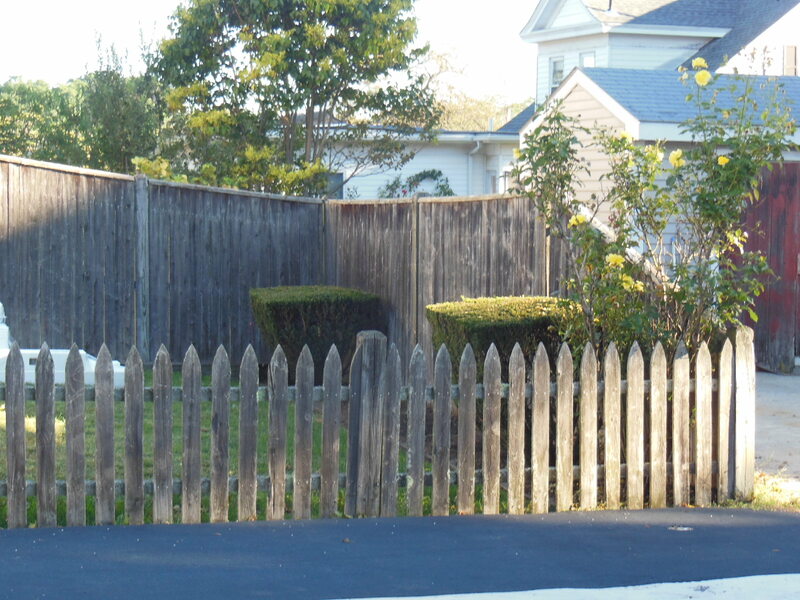 We are your go to fence installers in Beverly, MA. 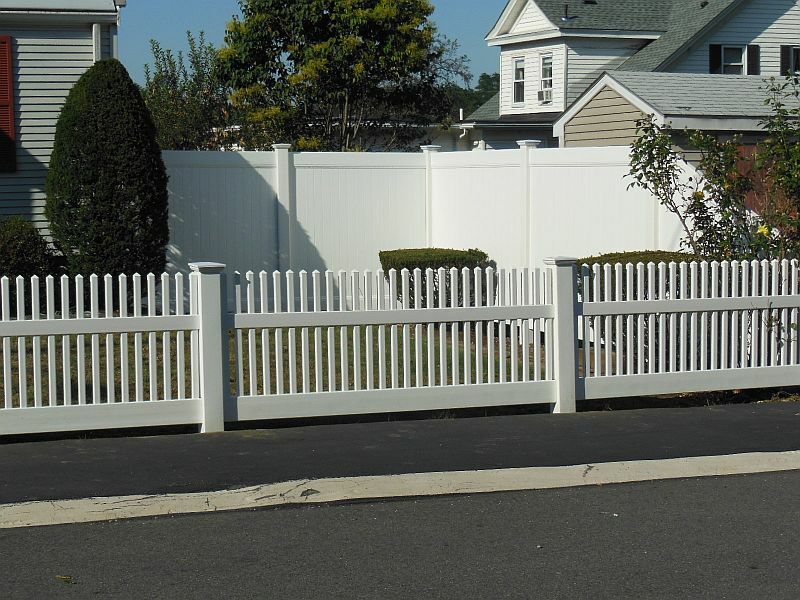 Remember to call Malone Fence company for all your fence needs in Beverly MA.